The following is a menu of services and offerings that would be appropriate to Students, Faculty, Senior Management, and Leadership. I have made an effort to categorize these services. However, I am aware that each project is unique and requires a tailored experience. If you have any interest in making your artists or education endeavor a sustainable and effective one, I will work with you to develop a catered deliverable that will take your organization to the next level. If you are interested in working with Me, Please be in touch. A program available for arts managers and executives seeking to launch a new venture, or hoping to expanding their reach and capacity. Managing Non Profit Arts Organization or Higher Education institutions these days has never been more difficult. There are financial pressures, targets to meet with audiences or student enrollment, teams to build, staff and Faculty to recruit and retain, strategic plans to be created and huge amounts of money to be raised. I have 30 years of experience managing Non Profits in higher education and the performing arts and have faced all these challenges so I can bring to you the navigational tools you will need to create success. These will include: Honing your management skills; Developing innovative programming; Introducing Design thinking to your organization; Learning the essentials of the basics of Nonprofit Governance and Fundraising. I have a passion for teaching and learning as a way of empowering outstanding talent, and new leadership. I also appreciate how teaching can be shaped into programs that can change our world. My work as President of New England Conservatory, Boston is testament to this approach and recent consulting work Scolopax Arts has continued this at the highest level internationally from the Association of European Conservatoires to Yale, USC and Curtis. As such I have been involved in many of the issues and new ideas surrounding higher education today. We all need someone who can hold up a mirror to our performance and ask the tough questions that will lead to success. We need a trusted listener who can actively listen, question, and probe; a reliable teacher who can analyze our performance and be honest with us in a supportive and meaningful way; a supportive peer who can reassure you when your confidence is shaken in the wake of failure. We need a mentor who is empathetic, as well as objective to provide perspective and equilibrium at the most stressful times, and a coach who can contribute to sharpening much needed skills. Most of all we need someone who can help you navigate through the harsh times of a challenging environment. A service available to arts and academic institutions, or conferences devoted to the arts and social entrepreneurship. I have given talks and lectures throughout my career from the Harvard Club in Boston, to the Royal Academy of Music in London, to international conferences in Stockholm and Estonia and TEDx in the States. It has been a regular part of my professional life either providing a story of advocacy for higher education and the arts or challenging an audience with a provocation on a contemporary theme. I also offer a structured series of workshops on storytelling, introducing and rehearsing the essential techniques of presentation, the use of voice, breathing, establishing a tempo, the potent inclusion of silence, and the structure that is needed to communicate your story with its key messages. A service available to arts institutions in the early stages of a strategic turnaround, or needing A refresh in response to community pressures. 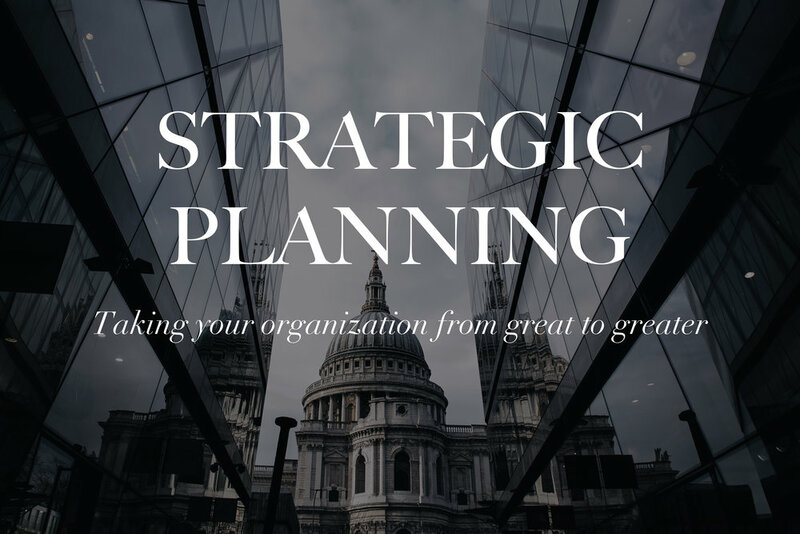 My approach to Strategic Planning is to introduce a process, which is as inclusive as possible involving all Constituencies and Stakeholders in a collaborative dialogue about the future of your organization. This approach is necessarily and consciously slow and methodical and in its early stages may feel a little like watching paint dry! But the long-term benefits are enormous. As the process gains traction, credibility and momentum, it speeds up as buy in across your organization grows. This means that when the Plan is announced it is recognized as the Plan everyone contributed to and is now deeply invested in.